By special arrangement with Springer, ECCV 2018 papers are now available on the open access archive. Visit the proceedings here. Four motions were considered at the October 2017 PAMI-TC meeting held at ICCV. View the results of the vote. Two motions and one non-binding polls was considered at the July 2017 PAMI-TC meeting held at CVPR. View the results of the vote. Five motions and two non-binding polls were considered at the June 2016 PAMI-TC meeting held at CVPR. View the results of the vote. One motion was raised at the December 2015 PAMI-TC meeting held at ICCV to select the location of ICCV 2019. View the results of the vote. 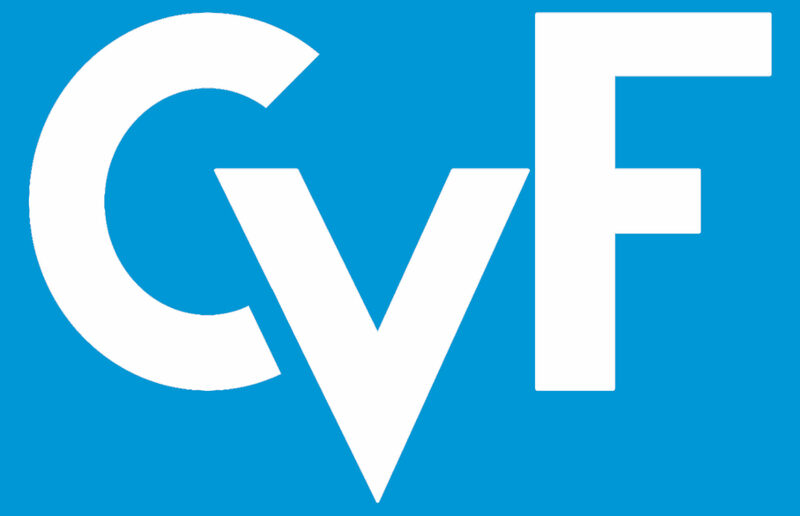 The CVF co-sponsored CVPR 2015, and once again provided the community with an open access proceedings. Five motions were raised at the PAMI-TC meeting, as well as two non-binding polls related to professional memberships. View the results of the vote. CVPR 2014, the second edition of CVPR sponsored by the CVF, has concluded. As is typical for our community, the organizers did a fantastic job. Four motions were raised at the PAMI-TC meeting, as well as one non-binding poll related to potential locations for CVPR 2017. View the results of the vote. ICCV 2013, the first international conference co-sponsored by the CVF, was a resounding success. We thank the organizing committee for their tremendous effort. View the slides from the awards ceremony, including the Marr Prize, PAMI-TC Helmholtz Test-of-Time Award, PAMI-TC Mark Everingham Prize, PAMI-TC Distinguished Researcher Award and Best Reviewers. Jan Koenderink was awarded the Azriel Rosenfeld Lifetime Achievement Award. View his acceptance speech here. Three motions were raised at the PAMI-TC meeting. View the results of the vote.